It is time for another Do-It-Yourself recipe!!! 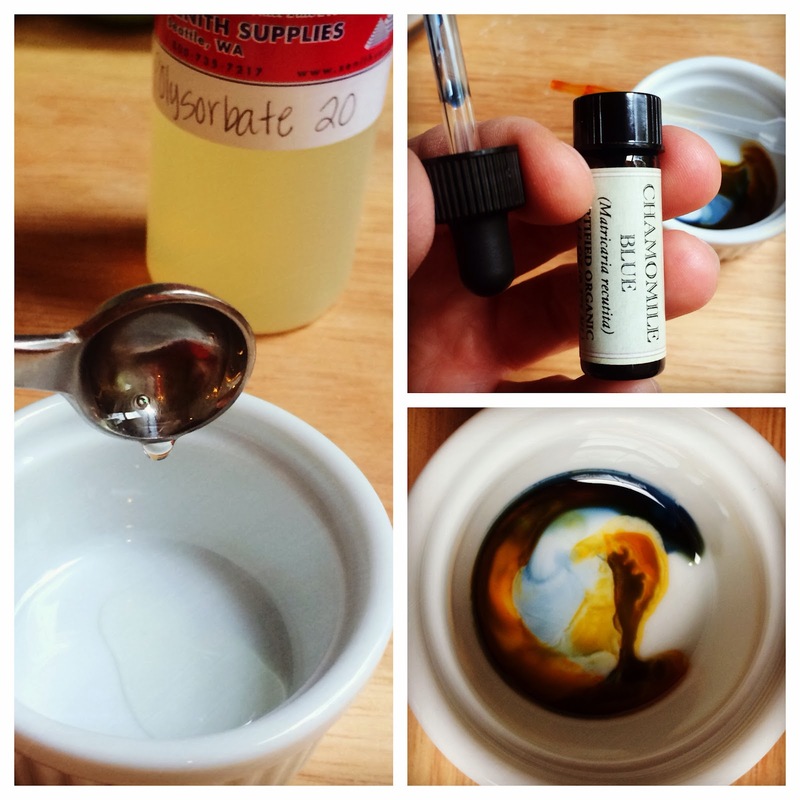 I have a recipe that was influenced by a popular facial steam tab that is sold by one of my favorite handmade skincare stores in the mall. The store sells its facial steam tabs for almost $3.00 each and the ingredients are pretty basic. 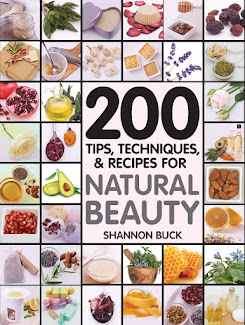 Their listed ingredients include; baking soda, citric acid, lavender essential oil, rose absolute, German chamomile essential oil, and tea tree essential oil. 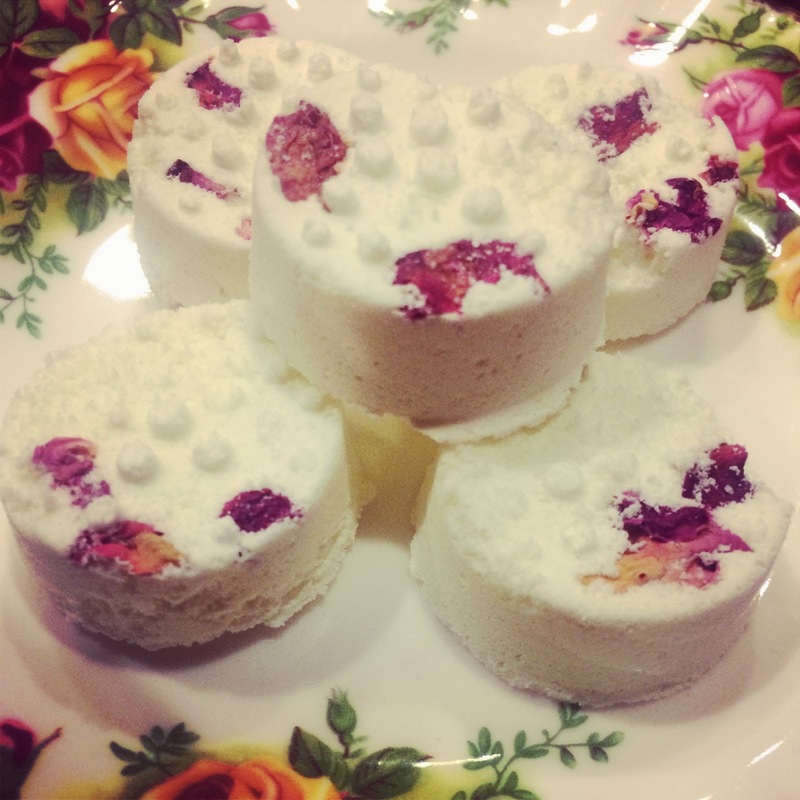 Basically, this is a mini bath fizzy for the face. You are supposed to drop one toner tab into a bowl of steaming hot water, place your face about 10 inches above the bowl and place a towel over your head to catch the steam to open up your pores and steam your face. It takes about 5 minutes for the steam to work its wonders. You then transfer the toner water into a spray bottle and use it over the next two days to tone your skin. I have to say, this was a pretty easy recipe to create for my own version. 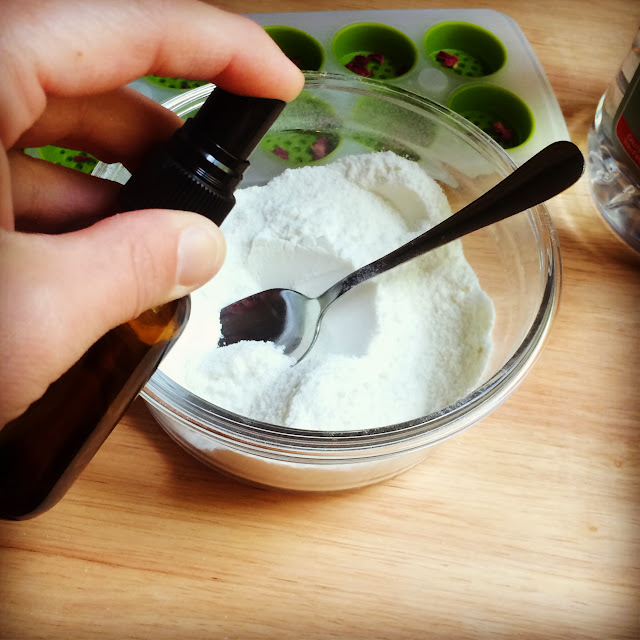 I used all the same ingredients, but I added in a tiny bit of Polysorbate 20 so that the essential oils would disperse into the water better. You do not have to add the Polysorbate 20 in if you are not familar with it. The recipe is perfect with or without Polysorbate 20. 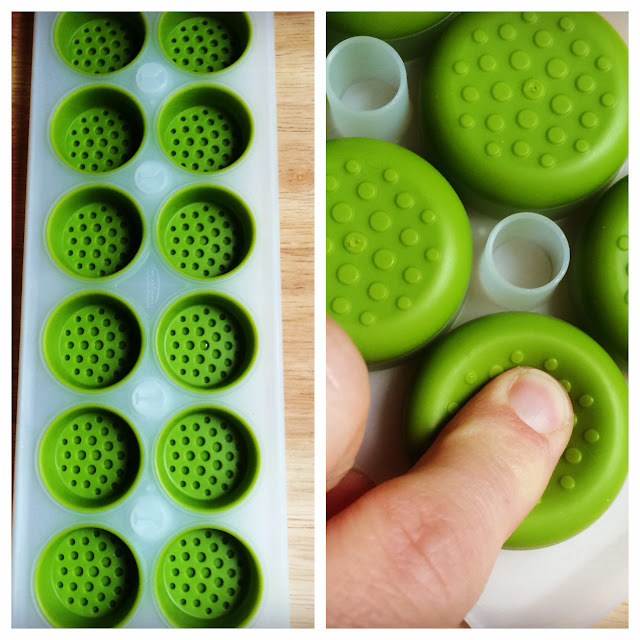 I wanted to make my version in a similar shape as the store's version so I used this small silicone ice cube tray I had in my pantry. It worked out perfectly!!! When the toner tabs are set up and hardened, you simply press the back of the mold and they pop out. 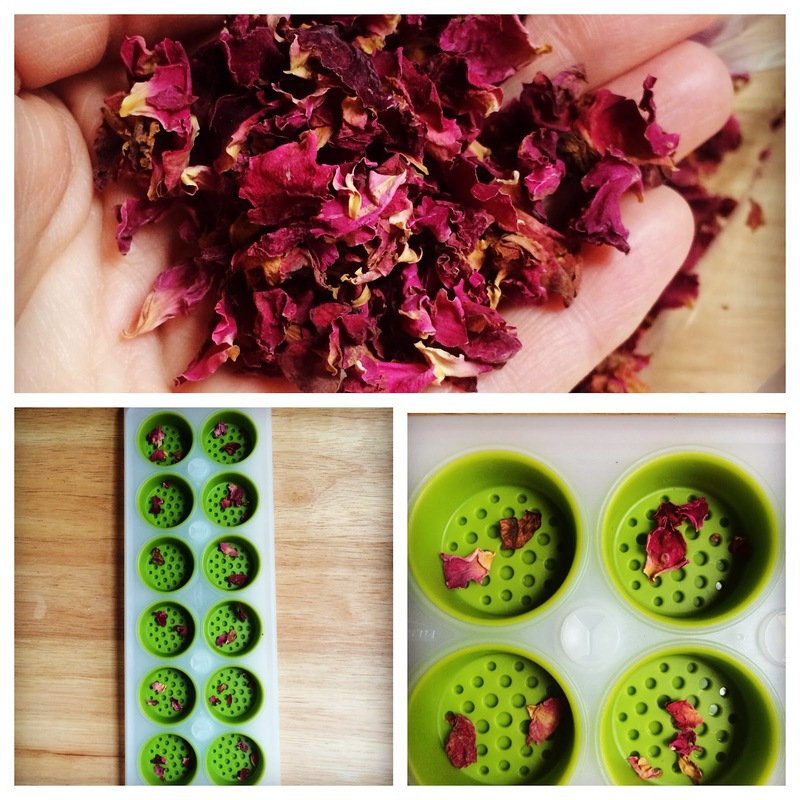 Here are some rose petals that I dried a few months ago. 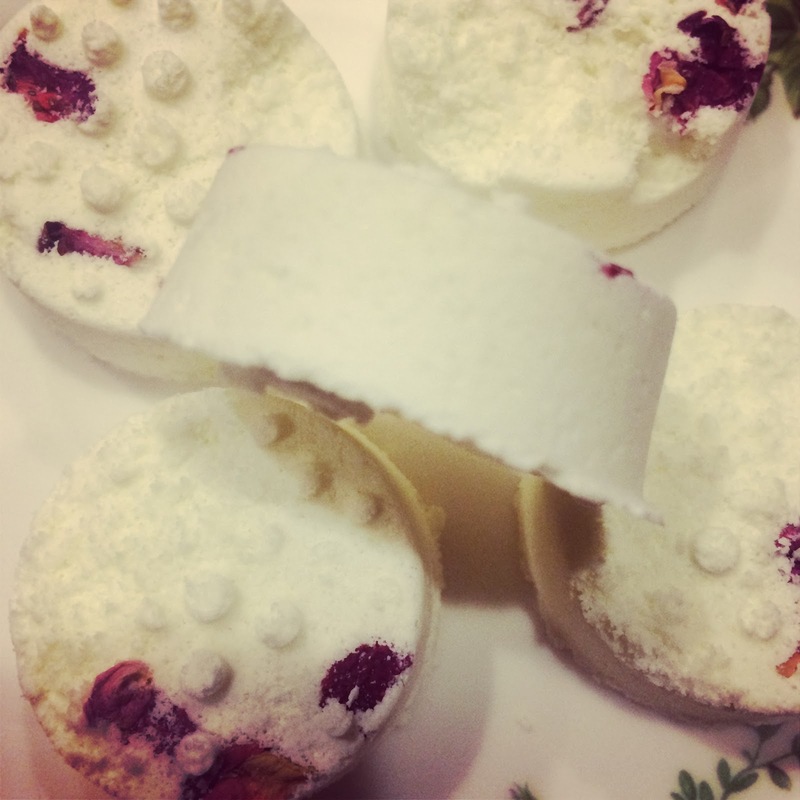 Just like the store's version, I wanted a few pretty petals on the top of each toner tab so I added them into the mold. If you don't have your own dried rose petals, you can pick them up from Mountain Rose Herbs. 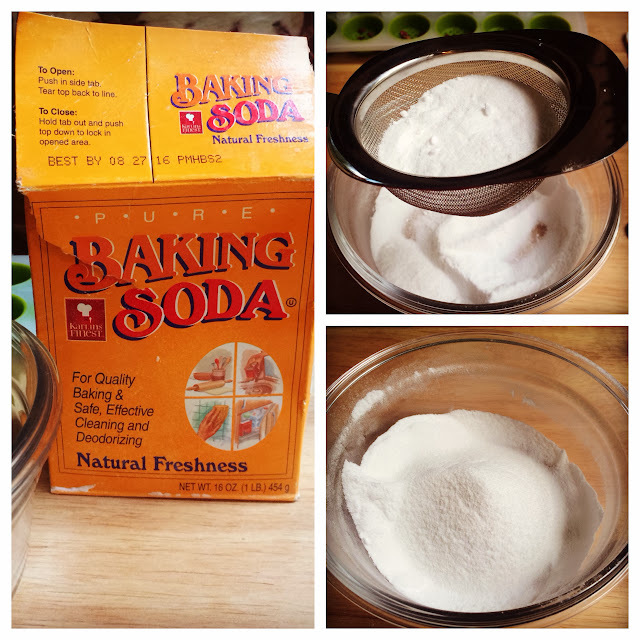 First step is to measure out 8 tablespoons of baking soda and 4 tablespoons of citric acid into a sifter and sift into a bowl. You need to sift the two ingredients in order to get all the lumps out. The photo on the bottom right is the essential oils dropped into the Polysorbate 20. 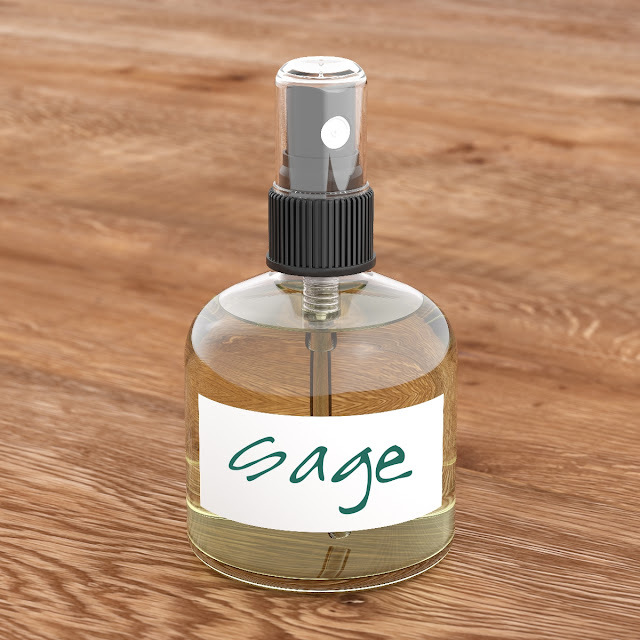 You can get the essential oils at Mountain Rose Herbs. Stir the Polysorbate 20 & Essential Oil blend into the baking soda/citric acid mix. I ended up putting the the mixture back though the sifter in order to fully combine the essential oils into the dry mix. I like to use 190 proof grain alcohol to moisten my fizzy tabs. I know this strength of vodka can be hard to come by depending on which state you live in, so you can use regular vodka or Witch Hazel extract if you need to. 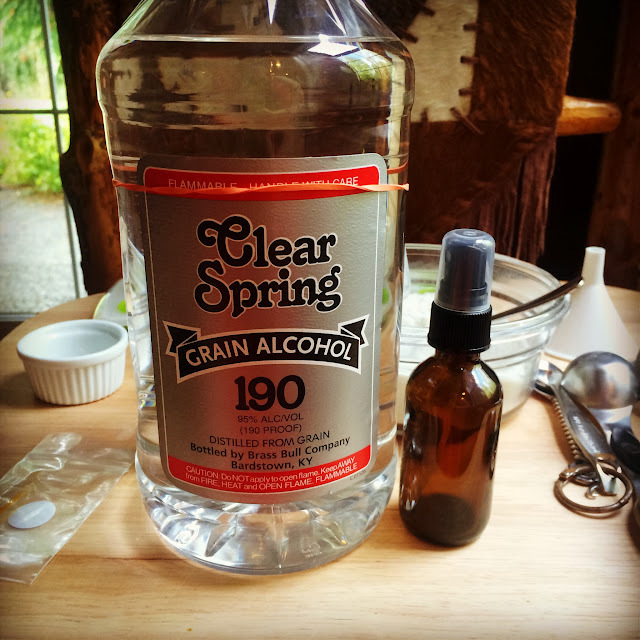 Place about 1 tablespoon of the vodka into a small spray bottle. Mist the vodka over the dry mixture, stirring frequently until very lightly moistened. You will know it is moistened enough when you can squeeze a handful of it and it stays held together. Working quickly, you want to place the entire amount into the mold and press down to tightly pack the mixture tightly into each well of the mold. 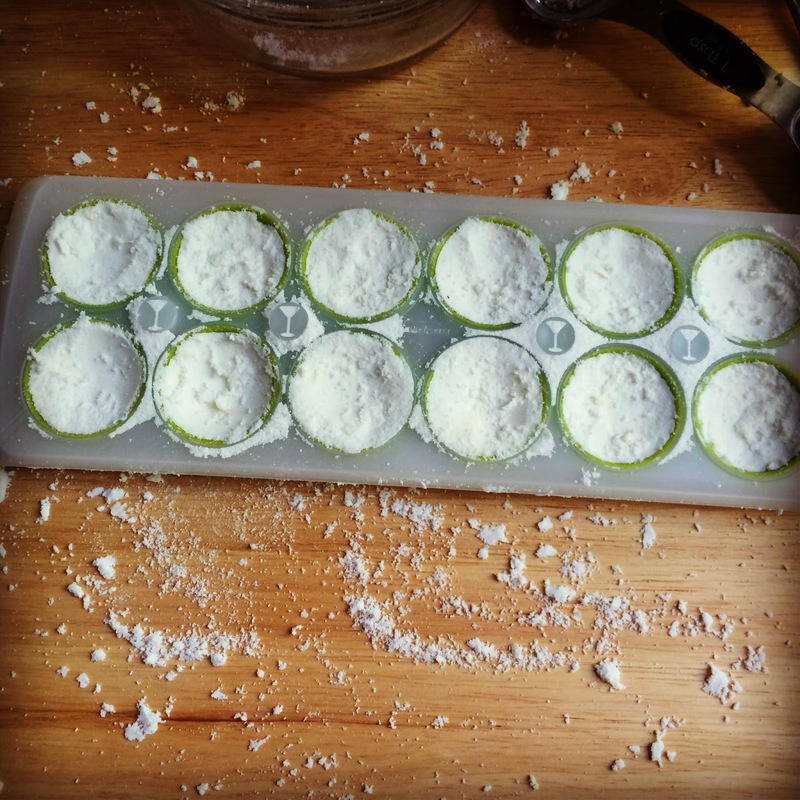 You want to pack the mixture into each mold as tightly as you can. Place a towel over the top of the mold and allow the toner tabs to harden for at least 8 hours. Once hardened, you pop them out and keep them in an air-tight container. They are really adorable when you pop them out. I really enjoyed making this recipe!!! I tried them out and they were even better than the ones the store sells!!! I made 12 toner tabs for under $10. Remember, the store sells ONE toner tab for almost $3.00 each. 1. Do not attempt to make this recipe if you have a lot of humidity. The humidity in the air may set off the toner tabs. 3. There is a fine line between perfectly moistened and too wet when you are misting the vodka over the dry mixture. If the mixture starts to fizz, you have gone too far with the vodka and might have to start over. 4. 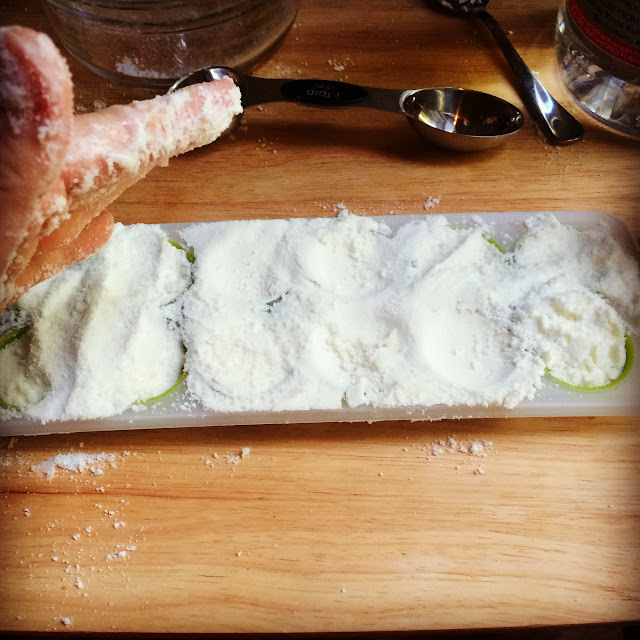 Pack the mixture into the molds very tightly!